A peaceful contrast to the bustle of Castle Square, the Garden on the Bastion is located to the left of the First Courtyard. It can be reached through the side entrance to the Castle from Castle Square (Hradčanské náměstí). The Garden takes its name from the bastion that stood there in the Middle Ages and was built in the second half of the thirteenth century. The foundations were discovered by archaeologists in the nineteenth century. 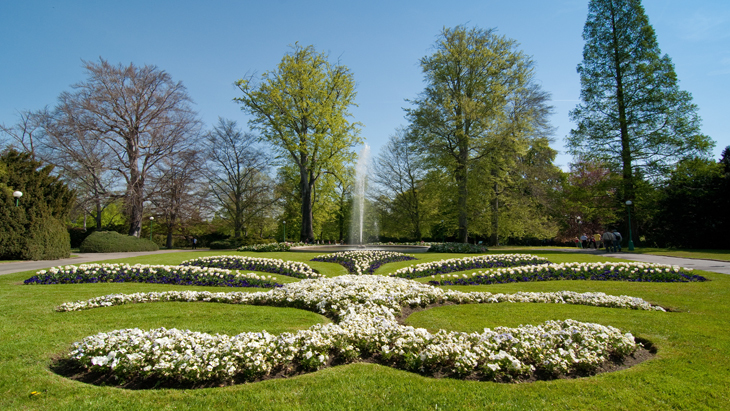 The garden was laid out in its current form based on designs by Slovene architect Josip Plečnik. He was appointed by President Masaryk, the first President of Czechoslovakia, to carry out alterations in the 1920s.